Will your hard work be recognised today? The 1st Friday in March is recognised as National Employee Appreciation Day accross the US and Canada. 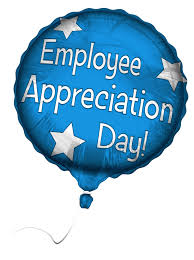 This day was created as a way of focusing the attention of all the employers in all industries on employee recognition. Businesses and organisations plan celebrations across the country recognising the achievements and contributions of their employees.